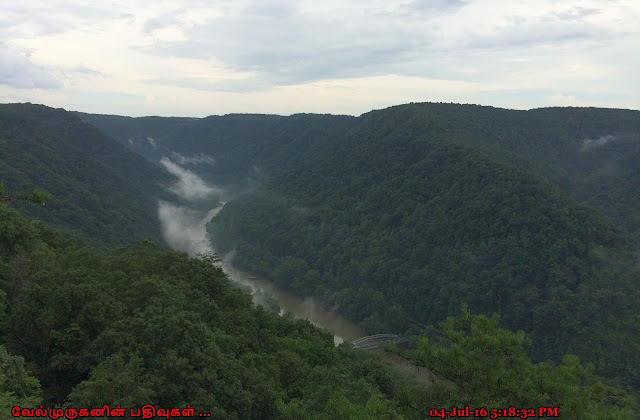 The Canyon Rim Visitor Center offers a birds-eye-view of the New River and the New River Gorge Bridge. The visitor center features an exhibit room filled with photographs and exhibits on the people, towns, and industry of the gorge. 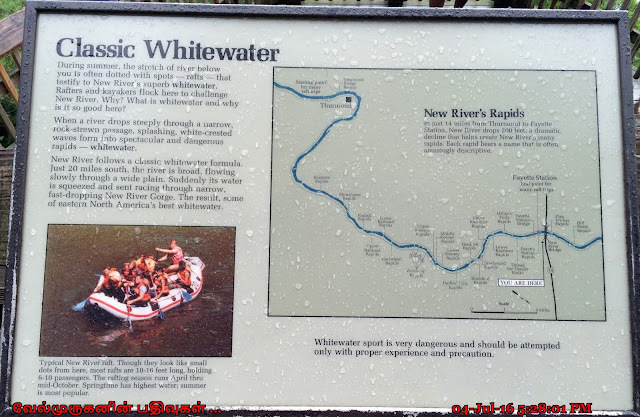 Other displays focus on the recreation and natural history of the area. 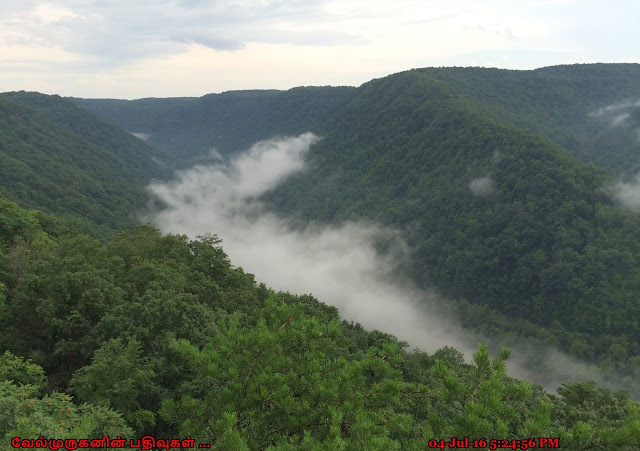 Visitors can enjoy two videos; on the construction of the New River Gorge Bridge, and on how the forces of nature created the massive V-shaped gorge. The auditorium provides visitors an orientation slide program on the park, and other special features and programs. 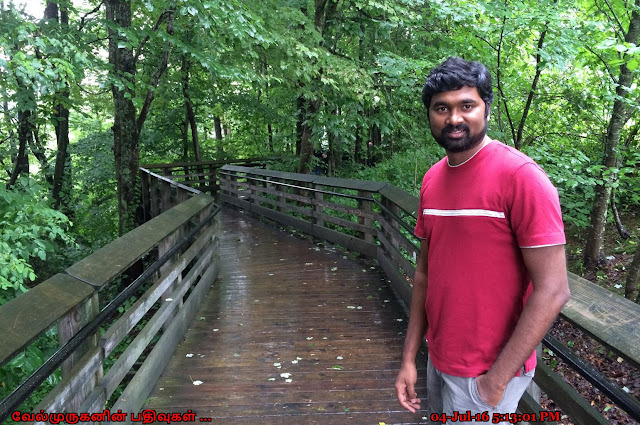 The Bridge is completed in 1977, New Bridge is the world's longest single-arch steel span bridge. 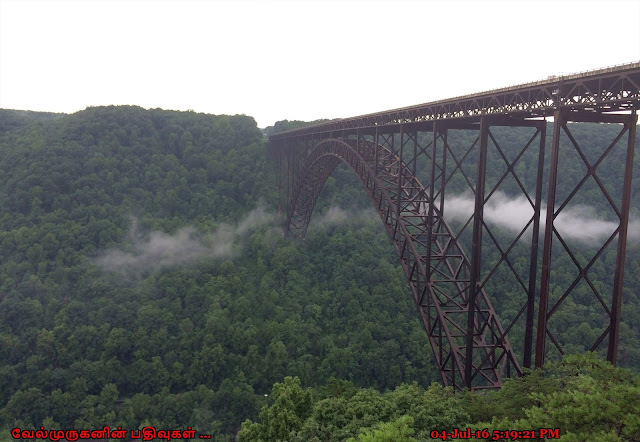 At 376 feet above the river it is America's 2nd highest bridge. The most easily recognized attractions of the site are the views of the gorge and bridge. The back deck of the center offers a two-mile view southward into the park. Visitors discover the striking size of the gorge with one of the world's oldest rivers at the bottom. A short hiking trail descends into the gorge on a wooden boardwalk. The boardwalk has two observation decks which offer unobstructed views of the longest steel arch span in the western hemisphere and the mile wide gorge it spans. 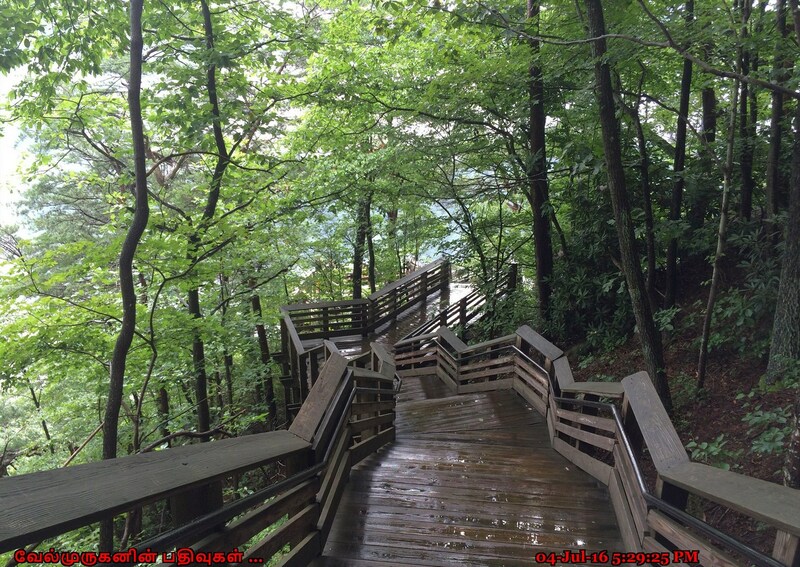 A fully accessible ramp provides access to the upper observation deck. 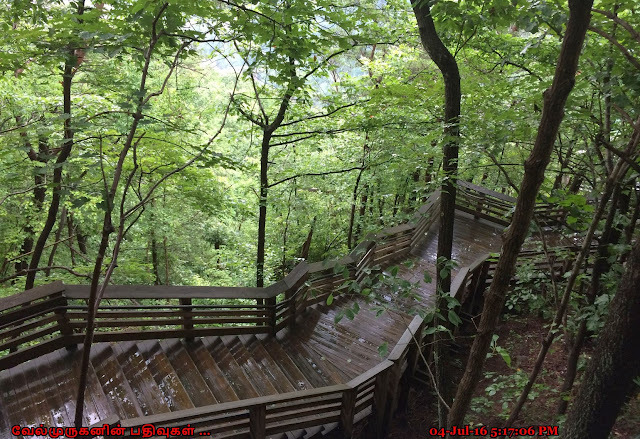 Located near the city of Fayetteville, the Canyon Rim Visitor Center offers a birds-eye-view of the New River and a modern engineering marvel, the New River Gorge Bridge. At the visitor center a boardwalk and stairs lead down to a viewing area, offering a fantastic view of the New River Gorge. The center also offers a trip back in time with local history and the story behind construction of the third-highest steel arch bridge in the United States. Appearing in the need of paint, the rusty looking bridge used Cor-Ten steel for the bridge. Imagine trying to paint a bridge that is almost 900 feet off the ground. 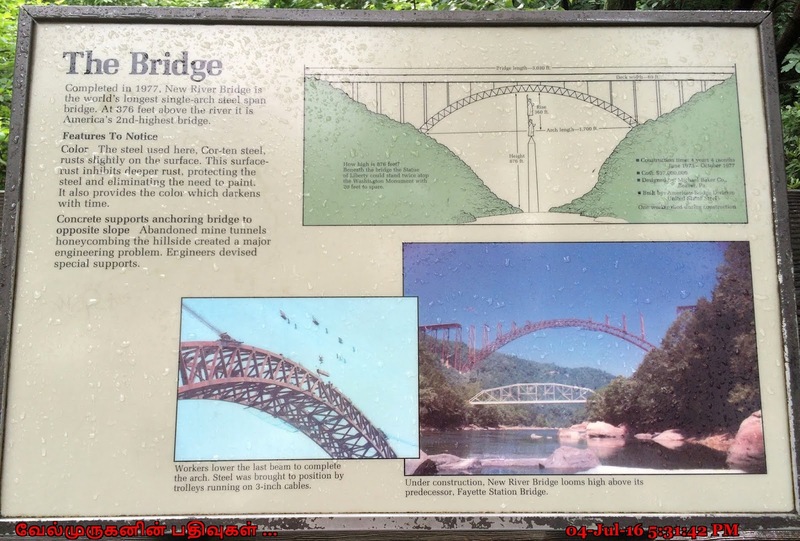 This special steel alloy New River Gorge Bridge - From Fayette Station Rd, Lansing, West Virginia is protected by a layer of rust, saving a million dollars every time the bridge would have been painted. 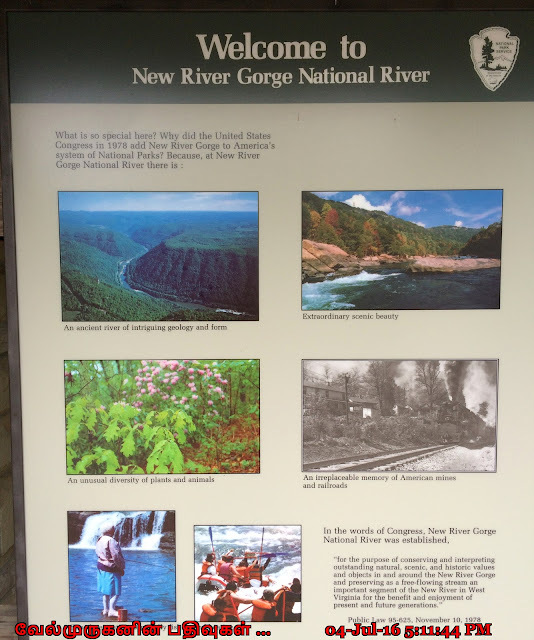 The New River Gorge National River is a unit of the United States National Park Service designed to protect and maintain the New River Gorge in southern West Virginia. 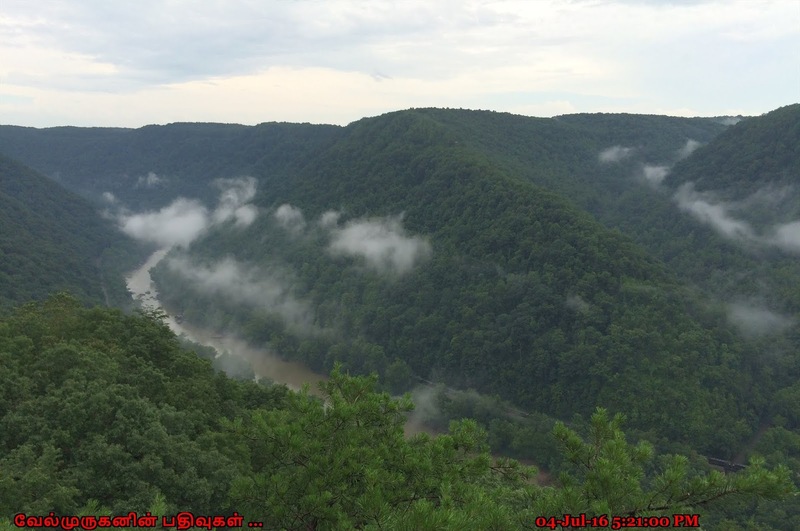 Established in 1978, the NPS-protected area stretches for 53 miles (85 km) from just downstream of Hinton to Hawks Nest State Park near Ansted. New River Gorge is also home to some of the country's best whitewater rafting. How To Reach : Canyon Rim Visitor Center is located on U.S. Route 19, just north of Fayetteville, WV. U.S. Route 19 is easily reached from Interstates I-64 and I-79, as well as U.S. Route 60.